This Christmas deck the Heales-ville and help beautify and decorate Healesville Main Street. 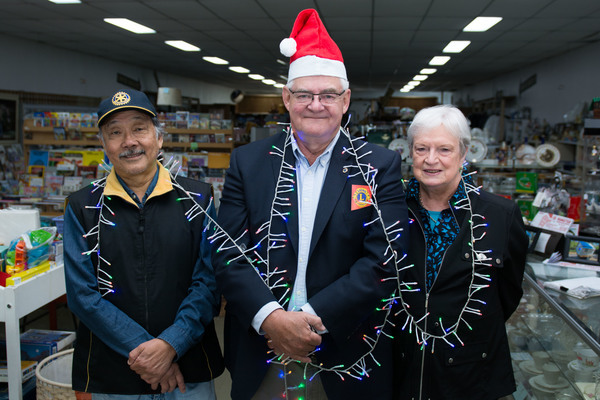 Healesville Lions Club and Rotary have once again partnered up with Yarra Ranges Council to bring Christmas cheer to all who travel through Healesville. The competition, which last year invited businesses along the main street in town to illuminate their shopfronts with lights and decorations, is being run again this year. Lions club president Lindsay Frost said that there had been a few changes from last year, mainly to the number of prizes they were giving out, noting that there were so many worthy winners last year that it was hard to choose. The competition will now have 11 prizes in total – a first prize of $500, five second-place $200 prizes and five third-place $100 prizes. “We’re spreading the love,” he said. Mr Frost said 2016’s competition saw 22 entrants, which he hoped would increase this year, and urged businesses to take part in the Christmas cheer- even those not on the main street. “The idea is to have windows decorated so people can see the decorations leading up to Christmas,” Mr Frost said. Mr Frost emphasised that the change in prizes was due to the difficulty in judging the competition, which he said was always very close – last year the top five were judged within four points of each other. Judging the tough competition this year is Kath Gannaway, Fiona McAllister and two member of Rotary, along with another two from the Lions club. Mr Frost said judging usually came down to the wire, but said it wasn’t always about the biggest or brightest, but that which had the most love and effort in it. “People do put in some sensational efforts,” Mr Frost said. Mr Frost encouraged businesses to sign up for the competition and to brighten the town, which he said was appreciated by tourists and residents. The competition is for Christmas decoration treatments that are visible at street level, from outside of the property during daylight or at night, either through windows or on external structures. All decorations must be safe and not put people at risk, such as by hanging down from public awnings at head height. 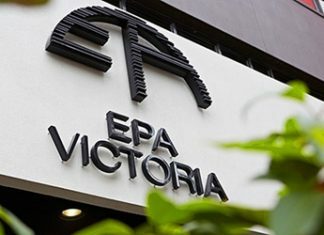 Entry forms for the competition have to be returned to the Lions Den Op Shop at 183 Maroondah Highway, by 4pm 30 November. Judging will be carried out between 4 and 19 December and winners will be announced on 22 December at 4.30pm outside the Lions Den.